Afghanistan - scene of tribal, ethnic, colonial, and Cold War conflict across the ages. Into this cockpit dropped a multinational post-9/11 coalition to root out al-Qaeda and replace the hardline-Islamist Taliban regime that harbored it. A quick invasion and regime change portended quiet reconstruction and good governance, but it was not to be so. In their sanctuary across Pakistan's border, the Taliban rebuilt for an insurgency that would ensnare the Coalition in the tangle of Afghan rivalries, shifting allegiances, and warlordism that the West could at first only distantly grasp. 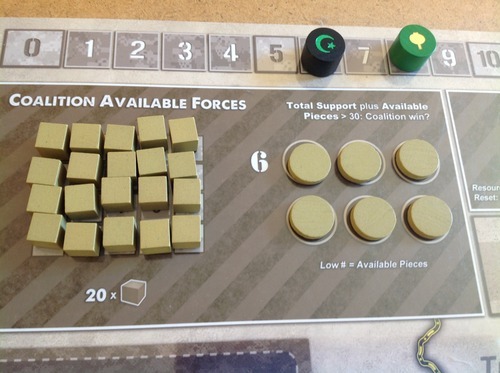 The latest volume in Volko Ruhnke's COIN Series takes 1 to 4 players into the Afghan conflict of today’s headlines, this time in a unique collaboration between two top designers of boardgames on modern irregular warfare. 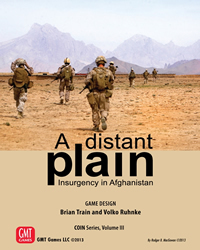 A Distant Plain teams Volko Ruhnke, the award-winning designer of LABYRINTH - The War on Terror, with Brian Train, a designer with 20 years' experience creating influential simulations such as Algeria, Somalia Interventions, Shining Path, and many others. As the Coalition, how will you secure popular support for an Afghan Government that cares more about corrupt patronage and control than legitimacy? Your high-tech forces are capable, but your publics are pressuring you to keep your footprint small: how will you stabilize this complex country and get out? As the Government, how can you run the country when your foreign partners continually redirect your war effort? 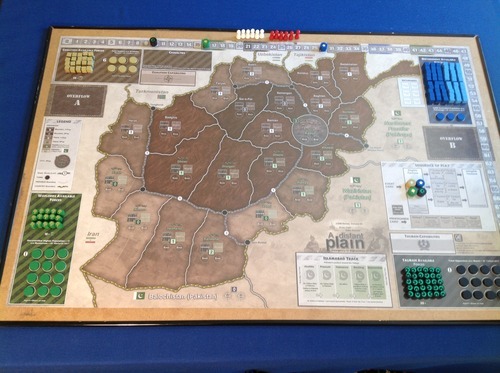 You can reshape Afghanistan's human terrain by encouraging the resettlement of millions of refugees, and your Coalition-trained forces are potentially the most numerous of any faction. But they are unsteady, and your war chest is not your own: how will you keep your allies' firepower in-country long enough to ensure that you are the top dog once they leave? As the Taliban, how will you come back against the potent forces arrayed against you? Islamism, Pashtun ethnic solidarity, and your Pakistani friends behind you will help you recruit and move with ease amidst the enemy. But not all Afghanistan is Pashtun, its warlords are treacherous allies at best, your fighters are seasonal, and Pakistan’s word is ever uncertain: can you sting the occupier and his puppets to reawaken Islamic revolution without drawing an unrelenting fire upon yourself? 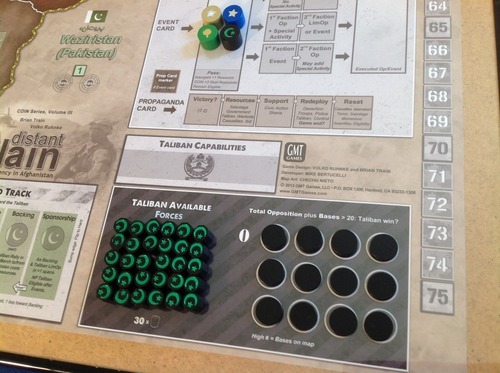 As the Warlords, how will you secure your traditional ways against the intrusive centralizers of Kabul and the Taliban? You profit from the country's lucrative opium crop, and your money can talk loudly to the Government's venal officials. But your fighters have neither the equipment of the Coalition, the numbers of the national army and police, nor the fanaticism of the Taliban: how will you block this latest cast of combatants from unifying the country and imposing their rule on you? 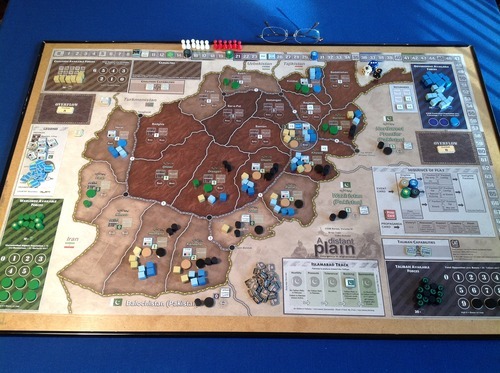 As with each COIN Series volume, players of A Distant Plain will face difficult strategic decisions with each card. 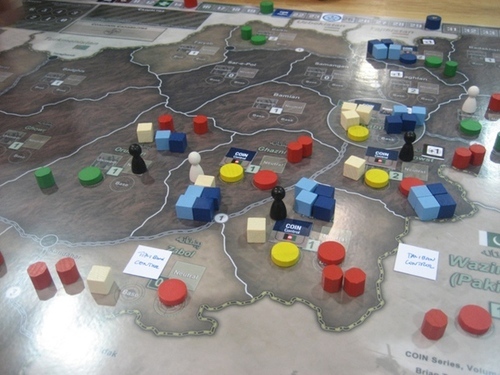 The innovative game system smoothly integrates political, cultural, and economic affairs with military and other violent and non-violent operations and capabilities. Terror, drug trafficking and eradication, highway extortion and sabotage, drone strikes, and many more options are on the menu. 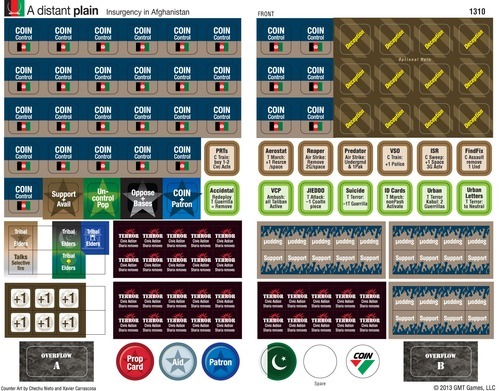 Flow charts are at hand to run the three Afghan factions, so that any number of players - from 4 to solitaire - can experience the internecine brawl that is today's Afghanistan. Have a good tour. 6 red and 6 white wooden pawns.